Win 7 and Linux Mint together on one machine. Is Mint able to compete? 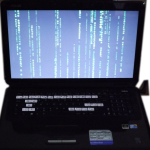 In this post, I put Win 7 and Linux Mint in a head-to-head by installing in a dual boot set up. 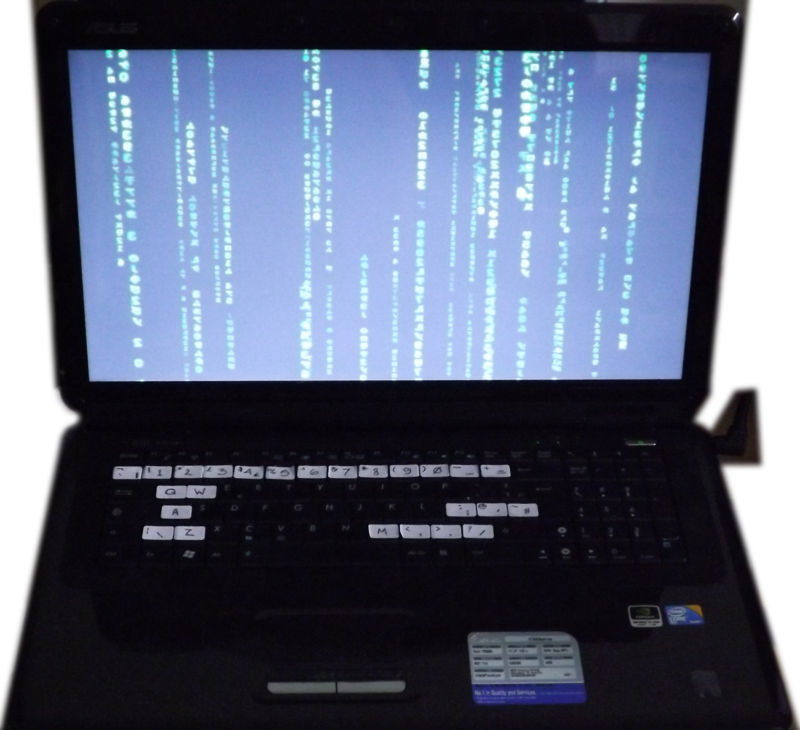 This is a notebook or laptop that’s been used for the last five or six years by some friends of ours. In that time, it’s been used occasionally for Skyping, emails, light internet browsing, some spreadsheet and word processing. Other than that, they just had some photos stored on it. Recently, the wi-fi broke down and because it was running Vista, it was decided that they would replace this machine with a new one, rather than replace the comms card to restore wif-fi then pay for and install Windows 7 or 10. I was asked to assist in choosing a new machine and instead of accepting payment, since we had always wanted a laptop, I asked for the Asus as payment. In true Gallic style, they thought I was completely mad, asking if I was sure, since they had planned to take the Asus to the dechetterie. The plan was simple to begin with. I would buy and install Windows 7 (English), either replace the keyboard or at least, doctor the keys so that we knew what was where. I had a cheap wi-fi dongle, which I hoped would work and presto, instant English laptop! Sadly, only some of our enthusiasm was well-placed. The battery was dead, which meant that it wasn’t quite as portable as we had hoped and the DVD drive was also buggered. Well, ever the optimist, I discovered that it would be about 5€ (plus p+p) to replace the DVD drive and surprisingly, only 12€ to replace the battery. Not too bad for what we’ve got. However, after finding out that my old Presario was actually capable of running Mint, I changed tack slightly and decided to go for the dual boot with 7 and Mint. In a previous post, I described how loading Windows 10 for a client took all afternoon. The moment you commit a distro to DVD, it becomes out of date. There will inevitably be those annoying updates, but it’s how Microsoft goes about it that gets me. They’re time-consuming and probably represent a larger size than the original installation. Surely, there must be a simpler, quicker method of installing updates. Anyway, I lost yet another afternoon getting Windows 7 from disc to finished, through several hundred downloads and multiple restarts. Remember Microsoft, it’s only because I like Windows 7 that I sacrificed time I’ll never get back doing this. 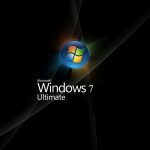 If I hadn’t been able to get that Windows 7 disc, I would have simply opted for Linux and dropped Windows like a hot potato, regardless of the software and financial losses incurred. As I discovered in loading Mint on the old Presario, Linux takes very little time to set up, but all machines are clearly not the same. Windows was installed from within Vista, by copying the installation files to USB and running the setup.exe application from Windows Explorer. It then just did what it needed to do. In the Mint installation however, could not be done in that fashion. I just wasn’t able to get the installation distro to boot from the USB flash drive. It appeared that on the boot menu, the USB was not in fact what the system was looking at, despite how it was labelled. In fact, when going into the boot menu on this machine, whilst it separates disc drives and optical drives from USB drives, the distro on USB was viewed by the system as a hard drive. Once the USB drive was plugged in, it came up in the hard drive list, not an external USB device. You can see how that is confusing. It’s certainly not logical in my opinion and not something that a novice trying to replace Windows with Linux would easily be able to see. Once I got the Asus to boot from the USB, installation took just fifteen minutes – or thereabouts. Of course, there have been the subsequent updates, but they are fewer and less intrusive than MS updates to download. MS may well be the industry standard, but that being the case, it doesn’t say much for industry’s standards nowadays. This had to be postponed for a few minutes as there were in excess of 16,000 updates from MS.
To get to the OS menu takes between 10 and 50 seconds. Why this differs so greatly is a mystery. I suppose it has to be viewed as a necessary overhead when having dual boot. The Mint installation does not require a password, so I have set up Windows to begin the same way. 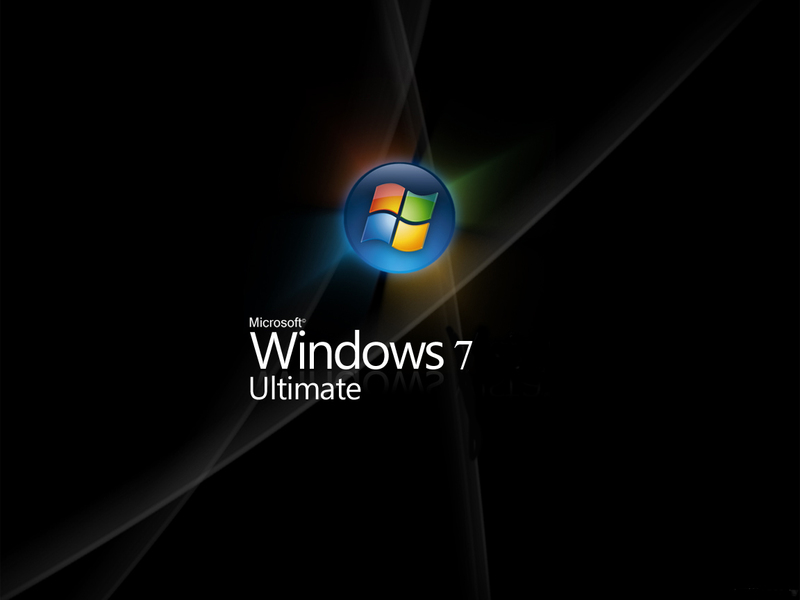 Windows 7 (clean) takes 1′ 47″ to get from the OS menu to presenting a desktop. It then takes a further 1′ 5″ before it’s ready to go (I have installed Anti-virus, which is AVG’s free version). My Windows only machine is granted password protected, takes far longer, but then it has numerous other programs that run on it, which may explain why. However, confusion arises when without updates it can take a different length of time each time to start up and be ready. The Mint boot took 1′ 50″ to go from machine off to machine ready to use, 55″ of which was the length of time it took to get to the boot menu. So far, in this head-to-head of Win 7 and Linux Mint, Mint has outstripped Windows 7, starting in almost half the time. I know Windows 7 like the back of my hand – not! There are things that happen or not as it appears it feels like it. Things like the network. I have a hub for connecting to the internet and Win 7 can see that. I also have an RPi for streaming. It has a Seagate 360Gb drive hanging off it, which I had been using to save some of my writing and videos to in lieu of not having a server. Windows however, chooses not to see it. Sometimes it’s there and sometimes not. Interestingly, despite it not showing up in Windows explorer, Word will still finds and open files from it. Go figure. I think software engineers term that a feature. Initially, I thought about using the Presario I originally tested Mint on, as a file server for my music and videos. It would also have served as a backup for our important stuff. I could then have connected the Seagate to it and not the RPi. Thanks to the issues I have had with Win 7 and the network, I’m not not sure that’s going to be possible. What has further tainted my opinion of having multiple OS machines on my network is that from the Asus in Win 7, I can connect and share stuff from the main Win 7 computer, but from the Asus in Mint, I can’t. I have installed Samba, which can see the Windows network, but can’t connect to it. Were I to create the server using Linux as the server OS, would this not end up being the same? Aside from the communications issues I have, Win 7 has not seen the mouse pad and buttons on the Asus, and flatly refuses to turn it off, allowing me to use the USB mouse I have. This means if I use the laptops’s keyboard, the mouse pad has a habit of making the cursor appear in random places, which makes typing a nightmare. Wholly off-putting when trying to write stuff. I’ve now had to plug in an external keyboard. Conversely, Mint has correctly identified the mouse pad, allowed me to turn it off and use the USB mouse instead. The look and feel and operation of both is similar, but then, they’re both graphical user interfaces, so there are bound to be similarities. There are some differences between the two, but I think that’s just Linux not wanting to be a Windows emulator. Linux Mint will run on a multitude of hardware configurations; the same hardware that Windows runs or ran on, but don’t expect it to be “the same as Windows”. Obviously, Linux Mint is different. It may look similar and work in a similar way to Windows, but the whole system is different and in the background Mint is doing things in a different way to Windows. So while my Linux laptop does not need a password for entry, there is a necessity to have a “root password” as some things cannot be done without it. Updates cannot be installed without the password, nor can can programs. In Windows on the other hand, if you have an administrator’s account, anything can happen. There are some things in Mint that are quite different to the Windows environment, but on the whole, it’s similar enough to make it easy for a novice to go from Windows to Linux without too much trouble.